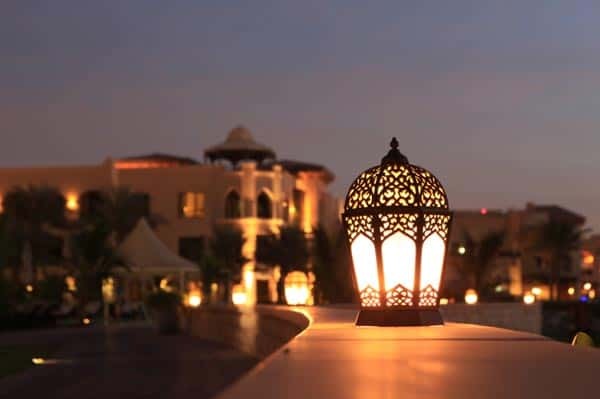 Expats living in or travelling to a country observing the religious month of Ramadan need to know how to behave and respect the values of their hosts. Read on to find out everything you need to know about Ramadan and when it will be in 2017, although the dates may vary between countries. If you are travelling in a Muslim country between these dates, expect delays – even if the stop is just at an airline hub such as Dubai. The month of Ramadan 2017 starts on May 27 and ends on June 24. The following three days are Eid, a festival to celebrate the end of Ramadan. Why does the date for Ramadan change every year? It’s to do with calendars. The western world tells the date from the Gregorian calendar, which is based on the cycle of the sun, but the Islamic world has a calendar based on the movement of the moon. Over a year, the calendars differ by around 11 days, which accounts for the different date for Ramadan each year. During Ramadan, Muslims fast from dawn to dusk. The fast may be observed differently but most Muslims obey the general requirements of the fast. These include refraining from any activities considered non-Islamic. The general requirements include not eating, drinking or smoking during the hours of Ramadan. How will Ramadan affect my visit? Most restaurants will close during the day, although some tourist eating spots will keep open. Expats should wear clothes that are not offensive to Muslims and generally show respect to the religious observance even though they are not expected to follow the rules. Even chewing gum, playing music or dancing is considered disrespectful. Iftar is the time when the fast is lifted each day at sunset. More people are likely to be on the streets travelling to see family and friends or to take a meal. Eid is a three-day festival to celebrate the end of Ramadan. Travelling is likely to be disrupted as large numbers of people move around to visit their families. Business and tourism are also likely to be impacted by Eid by closing or operating shorter hours. Do You Have An Average Personality?